WildFlorida.com is a complete eco-travel guide to Florida. Explore Florida's wildlife via photographs and up-to-date information on alligators, birds, snakes, sharks and other Florida creatures. Regional Florida maps and lists point wildlife enthusiasts toward the best beaches, springs, outdoor events and places for canoeing, wildlife photography, finding fossils and camping. Florida welcomes well-behaved dogs – and your dog will love Florida. In Florida, it is always important to be aware of the tides. 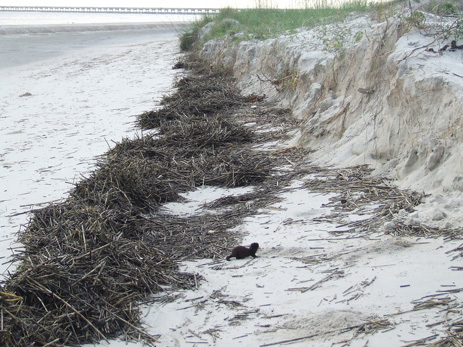 Mink have a very characteristic way of moving--they travel in low sinuous bounds, then stop occasionally to sit up on their hind legs to get a better view of their surroundings. They swim well and usually live near water, along steams and rivers or in salt marshes. 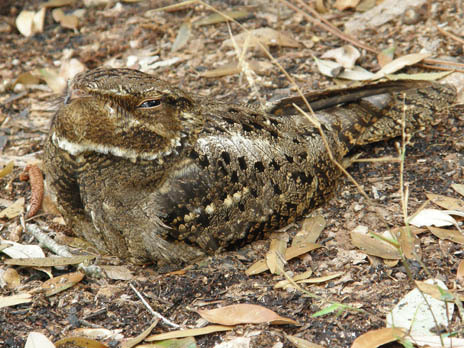 Often heard but rarely seen, the chuck-will’s-widow is the largest of the nightjars. In Florida, this birds incessant, repeated ‘chuck-will’s- widow’ call marks the onset of hot summer nights, as breeding males call to establish their territory and attract females. 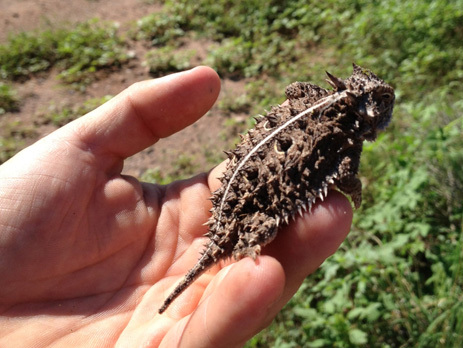 The Texas Horned Lizard, or “horny toad” as it is called in Texas, is named for its flattened toad-like appearance, and spines or horns around the head and body. In Florida, horned lizards are found in hot, sandy, habitats such as beaches, sandhills, and scrub, where their brownish, sandy-colored body makes them almost invisible. 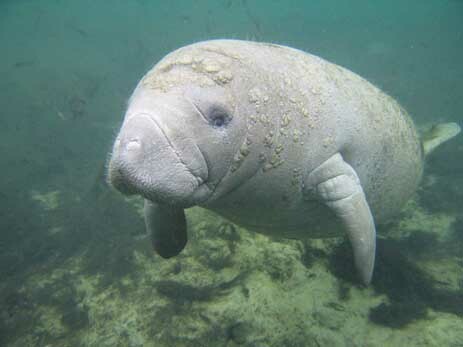 Eight hundred and thirty Florida manatees— from a total population of only 5,000— have died in 2013. 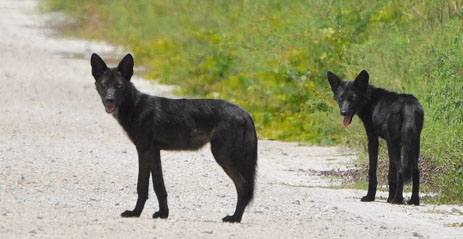 These two black coyotes were photographed on a Wildlife Management Area in Florida. Black coyotes are uncommon everywhere and hardly ever seen in Florida—hunters occasionally post photos of dead animals, but photos of live black coyotes are extremely rare. 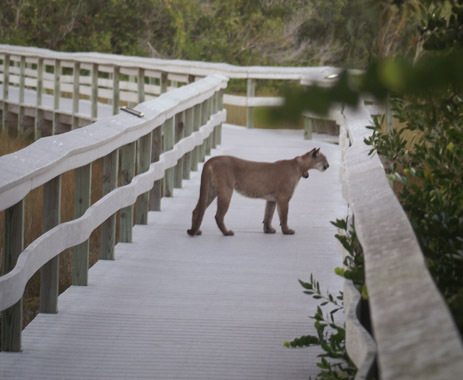 If you plan to walk a boardwalk in Florida’s Parks and Reserves any early morning or late afternoon, you might be lucky enough to see a Florida Panther. They seem to like these elevated pathways for ease of travel and the view into the grass that they afford. 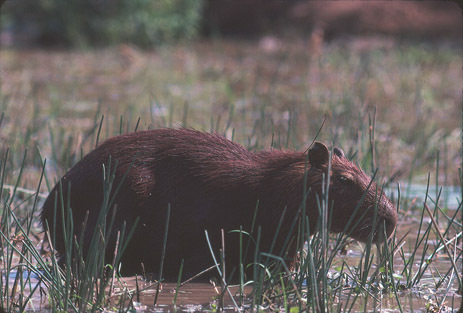 Strange sheep-sized rodents with webbed feet are showing up in Florida’s rivers and canals. These weird looking animals are capybara – a 100-lb guinea-pig-like creature. 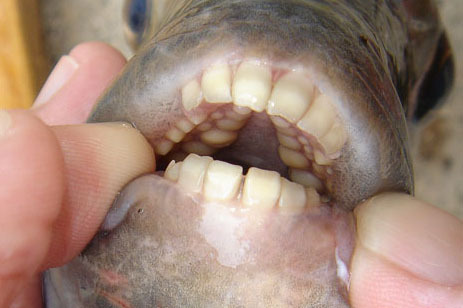 Sheepshead - A fish with human teeth. Looking into the mouth of a sheepshead is a bit like looking into the mouth of a person. This fish has human-like incisors and strange looking molar teeth on the roof and bottom of its mouth. Sheepshead use these heavy-duty teeth to grind up blue crabs, oysters, and small fish.